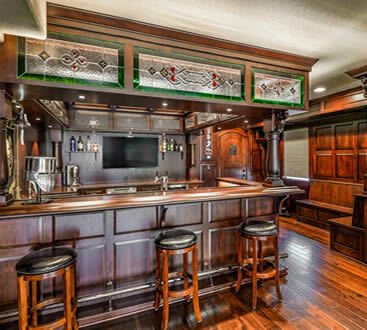 In our last blog, we looked at two awesome ideas for custom cabinetry in your home: entertainment centers and wine cellars. Because all of our cabinets are custom built from the design stage to the finished product, we can create the perfect cabinetry solution for you no matter what your needs are. Here, we look at three more great ideas for custom cabinets in your home. 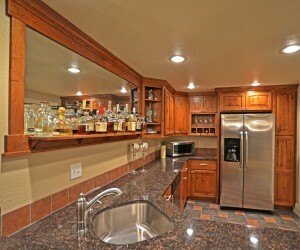 A home bar can really enhance your home for entertaining guests. 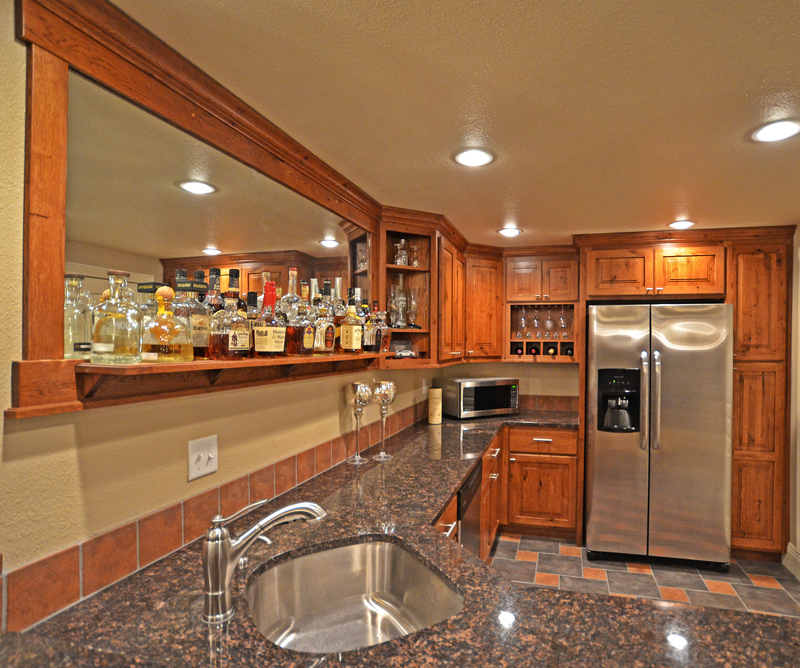 Having an in-home wet bar means you can craft the best drinks possible without having to visit a crowded bar or club. Designing a custom kitchen is the best way to boost your home’s value, optimize the work areas, and maximize your storage space. After designing your dream kitchen, you’ll wonder how you got by for so long without it. Most people spend a fair amount of time in their kitchen, whether it is for cooking, socializing, or eating, so making your kitchen the best that it can be will truly enhance your day-to-day life. There are many ways you can utilize our custom cabinetry in the bathrooms throughout your home. We can craft new storage areas, a new sink and cabinet installation, and much more. We will work with you to determine your specific needs for bathroom cabinetry so we can design the best cabinets for your space. We hope that the last two blogs have given you some great ideas for your home. When you are ready to start designing your custom cabinets in Colorado, give us a call. We would love to turn your dreams into reality!